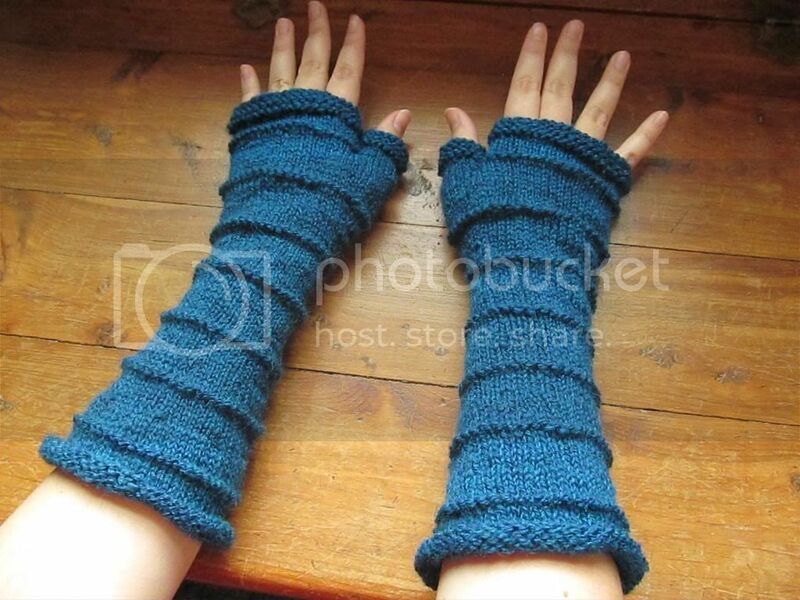 Wool and Wheel: TARDIS blue wrist-warmers. 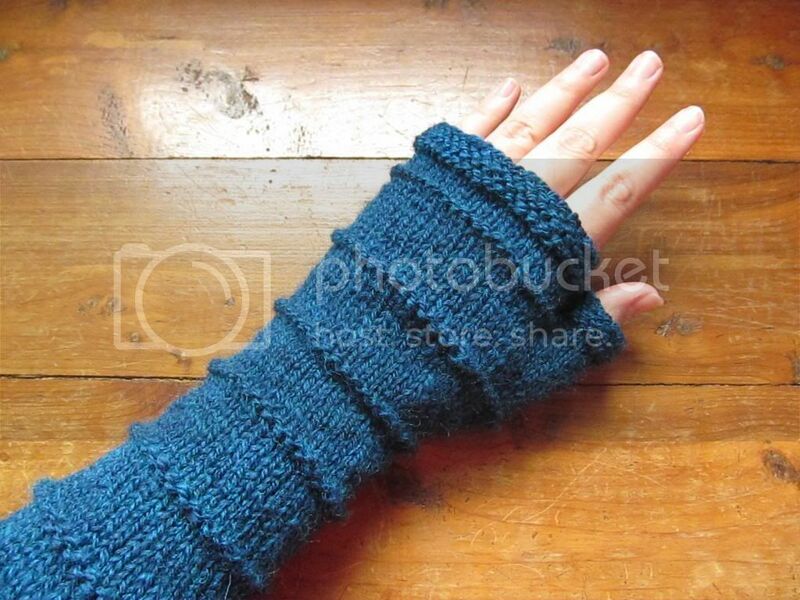 This is only the second project I've knitted from my handspun, which is something that needs to change really soon. 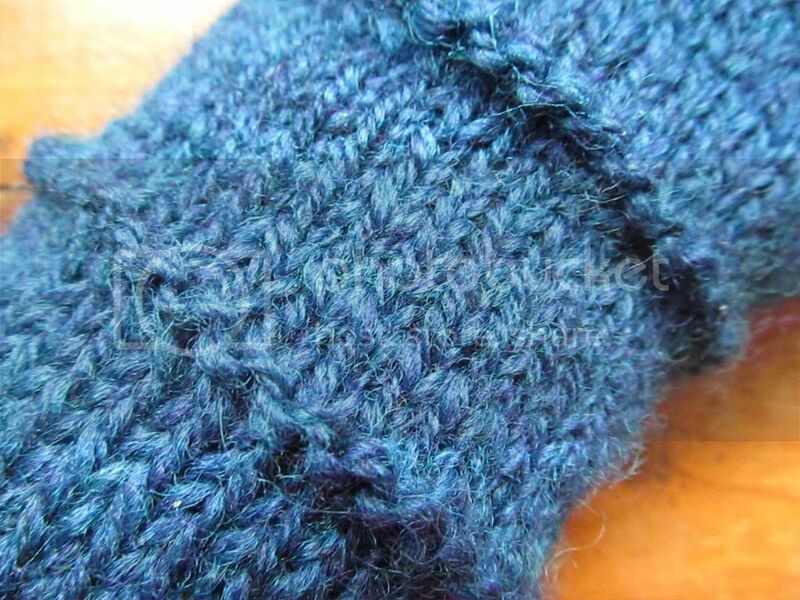 I love knitting with handspun...it just adds something even more personal and special to a knitted item. I feel like this yarn wasn't very consistent because I hadn't spun in several months, but I feel like the inconsistencies are hidden well in the finished mitts unless you look really closely. The color is also a lot darker than it looks here. It's almost the exact same shade of blue as this shawl. 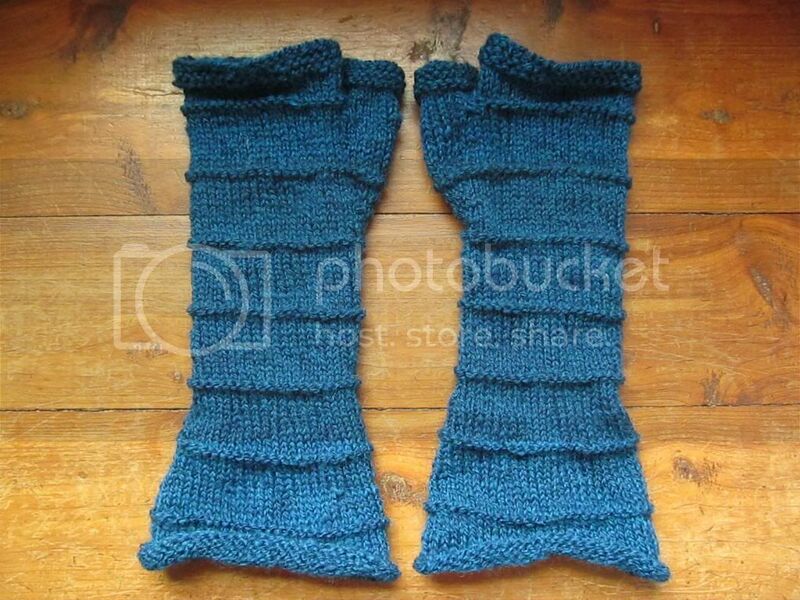 I used this pattern, but made them a little less slouchy. I started out following the pattern exactly, but they were turning out huge. So I went down a needle size and cast on 56 stitches instead of 64, and now they fit perfectly. As usual, more details on my project page here. Currently (works in progress and things). Thoughts on knitting (and spinning).